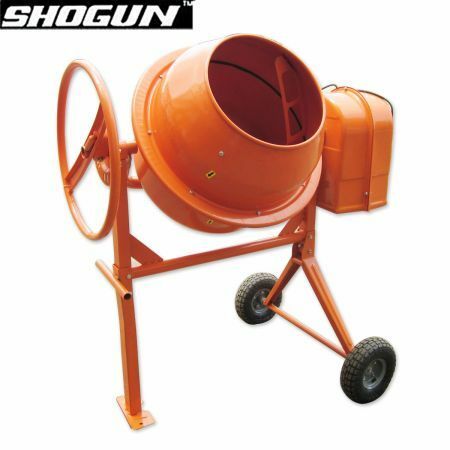 This Shogun 200L Electric Cement Mixer gives the perfect concrete with the flip of a switch. Equipped with an easy-load heavy duty steel drum, this mixer is also ideal of mixing sand and gravel. The two wheels and thick rubber tires make this lightweight mini-mixer easily portable. 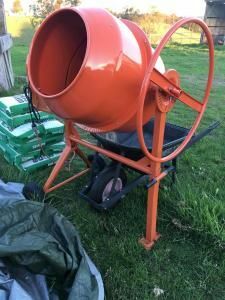 Ideal for DIY landscapers with an urge enhance their driveways or other light construction around the home, this highly durable mixer is a must have for the self-described handyman!